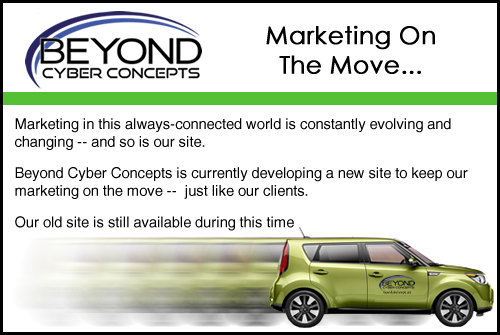 The owner of Beyond Cyber Concepts has more than 25 years of experience in the graphics arts. 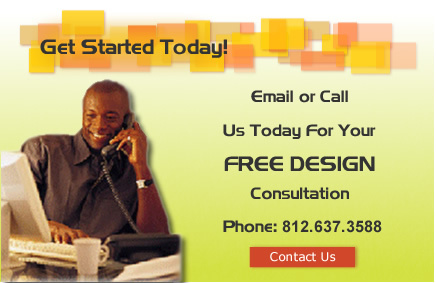 We are your one source, for all your marketing needs; web design, graphic design, print design, logo design, trade show displays, and much more to offer with our advertising services for business’s of any size. No project is too small or too large. 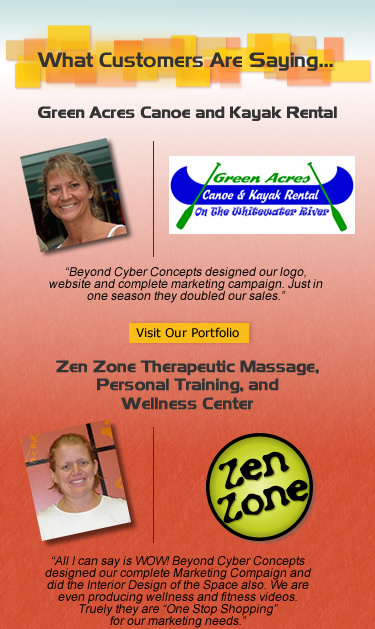 We are one stop shopping for all of your marketing needs. Our staff can serve any size company, no matter if you are a startup company starting your first marketing plan and website or a Fortune 500 company – everyone gets the same detailed time and attention. Your goals are the most important to us. The first step is making sure we are building your brand. That process should be debated, explored, and pondered on, between you and our staff. In this forum we will work towards reaching a common goal. Most template websites, logos, along with online and offline media doesn’t impress your customers. Worse yet, they may even hurt your brand's image. They don't drive sales, they drive away sales. Contact us today to see how we may help your company continue to grow.